Chorus shoes -- Paul wright brand for a stylish look as you dance. it is also one of the most comfortable shoes in the dance shoes range. 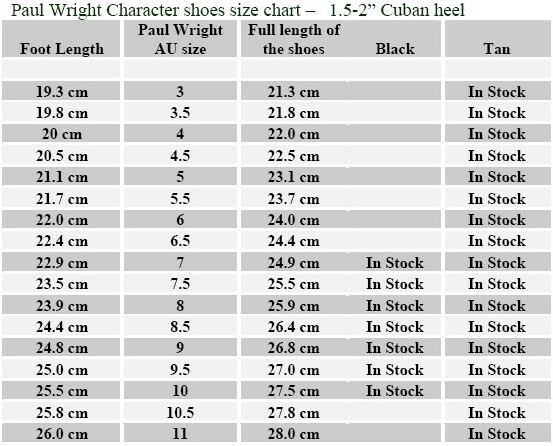 • Shoes face appear as Vshape and lower upper cutting very well fit for wide range fitting. • 1 3/4"-2 1/4" chorus heel high is great for stage work. 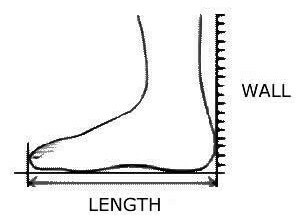 Fitting: Size chart is just fit size, if you are fast growing or wide fitting, can upper size for comfort. Here is a guide for you to determine your size. Stand up with the heel attach to the wall and measure the distance between the wall and the very last end of the biggest toe, to have your foot length.